Remember when the prices of fancy phones came down, and we could actually do stuff on them – watch films, play games, buy boys’ pants whilst travelling on a train – without the constant circle of hell buffering us at every turn? The trouble was, that a few years ago when mobile phones started to do what we wanted at an affordable price, Headphones were still costly. For my family of teenage boys, who had a mobile glued to their palm, and the painful verse of Grime singers and indie guitarists no one had ever heard of in their ears at all times of the waking day (and probably all night), losing headphones was a constant struggle. One brother would lose his and ‘borrow’ from the other brother and my husband and I would be constantly finding our headphones hidden under their pillows. Or mine sticking out of my husband’s bag. In the end I bought bright pink ones. 38104805 – smartphone and earphones on table. focus on earphones. No-one could keep earphones for more than a day before they were purloined in our house, and the motivating ‘Ain’t no stopping us now’ that I’d play on a Monday morning just before going to work would be just a dream, as I fished in my handbag for headphones only to realise that a child or a husband had taken them. Worse, our kitten liked to rip them up, so each week we were losing two or three pairs and it was costing about £100 a month to replace them. So having looked at the iPhone 7 that’s just launched, I was dismayed to discover that they’ve replaced the headphones (which these days cost £2.99 from a petrol station if you’re not too worried about quality) with Airpods, which cost £159 from John Lewis. Not that we will be getting an iPhone 7 any day soon. I’m fine with my current gadget, but should my mobile company start offering them free, which they always do eventually, after the ‘early adopters’ have finished buying them new, then I’ll be plunged back into a new cycle of expense and irritation: Airpod loss and re-buying. So, this is very much a first world problem. Who cares? But it is a continuum in the cycle of people designing products without thinking about the end user. We had that with airbags for cars that were designed by burly male engineers and nearly crushed women and kids to death, or the voice-activated gadgets designed by men that didn’t recognise the female voice. Apple iPhone designers, families will lose their Airpods within hours and be forced to replace them on an ongoing basis… And as they wait for the delivery of new ones, the borrowing and hiding will continue. Thanks a lot guys. The post Oh gawd Apple! 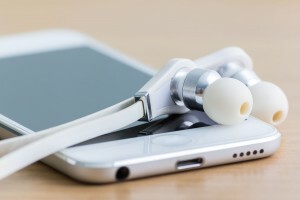 Not airpods, we remember the days of Pricey Headphones appeared first on BeTeenUs.